It's "the trial that changed South Africa." In the fall of 1963, Nelson Mandela and ten other leading opponents of South Africa's apartheid regime faced trial for their lives. The charges, in what is often called "the Rivonia trial" for the Johannesburg suburb that was the location of the hideout for a militant wing of the African National Congress, were sabotage and conspiracy, and there was little doubt that but that Mandela and most of the other defendants would be found guilty. Desperate times had dictated desperate measures. Standing in the dock at the Palace of Justice in Pretoria, Mandela announced that "the ideal of a democratic and free society" is one "for which I am prepared to die." Lieutenant van Wyk his informant were a week into their search for what the informant insisted was the hide-away of the ANC and members of its military wing, Umkhonto we Sizwe. Finally, as the two men traveled yet another road in Johannesburg's northern suburbs, the informant spotted a gabled house that he recognized. Down the next bend in the road, near a weathered sign bearing the name "Rivonia," the informant saw a gate that he said stood a few hundred yards from a farmhousethat was the secret meeting place of the leadership of South Africa's most determined anti-apartheid activists. The next day, July 11, 1963, fourteen police officers and a police dog piled into a laundry van and entered Lilliesleaf, an estate owned by Arthur Goldreich. The men leaped out as the van stopped in front of the homestead and then quickly surrounded the building. Inside the home the police found Denis Goldberg. In an thatched-roof outbuilding, police discovered two whites and one Bantu. More significantly, as their search of the room continued, they found a six-page typed document labeled "Operation Mayibuye." When it was over, the raid would yield eight suspects: Goldberg, Rusty Bernstein, Raymond Mhlaba, Bob Hepple, Govan Mbeki, Arthur Goldreich, Ahmed Kathrada, and the man police considered their prize catch of the day, ANC leader Walter Sisulu. The police carted away dozens of documents--letters, pamphlets, Communist literature, and maps. They also took a radio transmitter and a duplicating machine. The prosecution's case in the Rivonia trial would, to a large extent, be built around what was found in the Rivonia raid. Authorities announced to the nation the Rivonia raid in exultant tones. At the time of the Rivonia raid, Nelson Mandela was lodged in solitary confinement at a Pretoria jail serving a five-year prison term for leaving the country without a passport and inciting a strike. He began serving time in October 1962. Mandela played a key role in bringing the ANC to the view that force had to be met with force if black liberation were ever to come to South Africa. After calling for a general strike in May 1960, Mandela had vanished underground. The strike attracted less support than Mandela hoped, and he began telling friends "the days of nonviolent struggle were over." In June 1960, Mandela proposed to the ANC executive the undertaking of an armed effort against the South African government: "The attacks of the the wild beast cannot be averted with only bare hands," he said. The ANC executive initially decided, however, that the time was not ripe to take up arms. Eventually, Mandela's arguments won over the ANC, which voted to establish a separate and independent military organ, Umkhonto we Sizwe, or "Spear of the Nation" (or MK, for short). In June 1961, Mandela sent to South African newspapers a letter warning that a new campaign would be launched unless the government agreed to call for a national constitutional convention. Knowing that no such call would be forthcoming, Mandela retreated to the Rivonia hideout to began planning, with other supporters, a sabotage campaign. The campaign began on December 16, 1961 when Umkhonto we Sizwe saboteurs lit explosives at an electricity sub-station. Dozens of other acts of sabotage followed over the next eighteen months. (Indeed, the government would allege the defendants committed 235 separate acts of sabotage.) The sabotage included attacks on government posts, machines, and power facilities, as well as deliberate crop burning. Mandela spent much of the early months of the sabotage campaign at the Rivonia safe-house, where he went by the name of "David." At Rivonia, Mandela met with other leaders to shape strategy and plan a possible future guerrilla war against the South African government. His goal, he always said, was not to establish a government ruled by blacks, but to move to a multi-racial democracy that would abolish repressive laws that separated African families, restricted their travel, imposed curfews, and denied other basic human rights. 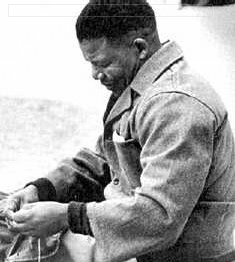 In February 1962, Mandela left South Africa to garner support from foreign governments for the goals of the ANC and to receive six months of military training is Addis Ababa, Ethiopia. Acting on a tip, probably from the CIA, South African officials arrested Mandela shortly after his return in October. In July 1963, Mandela learned of the Rivonia Raid when he was summoned to the office of a Pretoria prison and saw ten other men who, with him, sometimes would be called the "Rivonia 11." The men included seven captured at Rivonia, plus two who were previously detained (Andrew Mlangeni and Elias Motsoaledi), and James Kantor, an attorney. All the other men were being held under the new Ninety-Day Detention Law that allowed security officials to hold without charges for ninety days persons suspected of political crimes. During this ninety-day period, the men were denied the opportunity to consult with lawyers or see their families. Most were held in solitary confinement and some were tortured. Two other men that the state hoped to put on trial would not be. Harold Wolpe, lawyer for the ANC and a radical activist, had been arrested in a disguise near the Bechuanaland border as he attempted to flee South Africa a few days after the Rivonia raid. 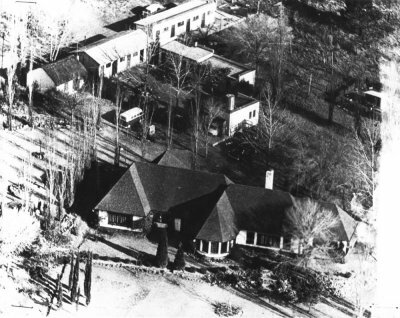 Arthur Goldreich, a noted painter and the owner of Lilliesleaf Farm in Rivonia, had been picked up in the July 11 raid. Both men had helped identify sabotage targets for Umkhonto we Sizwe. The two men avoided trial by pulling off the most dramatic escape in South African history. They convinced their financially hard-up prison guard to give them their cell keys and play the victim of a simulated assault in exchange for 2000 pounds. Wolpe and Goldreich slipped out of prison and disappeared into the midnight darkness. Eventually they made their way to a garden cottage in a Johannesburg suburb, where they stayed hidden for a week to let the search for them cool down. Finally, dressed as priests, they traveled overland to Swaziland where they chartered a flight to Bechuanaland. In Bechuanaland, South African agents blew up the plane that was scheduled to take them on to Tanganyika, but persons outside the country arranged for a small plane to fly into a remote airstrip and the two men finally landed in the safe haven of Dar-es-Salaam, Tanganyika. The defendants first chance to meet with defense attorneys (Bram Fischer, Joel Joffe, George Bizos, and Arthur Chaskalson) did not come until October 8, 1963, the night before their trial was scheduled to begin. At the time, neither the lawyers nor the defendants knew what crimes the government would charge. Whatever the charges against them, nine of the defendants agreed, they would enter a joint defense. James Kantor, it was decided, needed his own counsel since he had no connection with the other defendants and was seemingly charged only as a proxy for his brother-in-law and law partner, Harold Wolpe. Bob Hepple had been pushed by authorities to become state's witness in return for immunity from prosecution, and announced to the group he was uncertain about whether to accept the state's offer. Clearly, Hepple had to find his own lawyer and be left out of future defense strategy sessions. The next day at the Palace of Justice in Pretoria, in a segregated courtroom filled on one side with plain-clothed police officers and on the other side with relatives and friends of the accused, prosecutor Percy Yutar called the case of "State versus the National High Command and Others." He then produced an indictment charging the eleven defendants with two counts of sabotage and two counts of conspiracy. The defense, noting that they were just then seeing the indictment for the first time, asked Justice Quartus de Wet for a postponement. De Wet gave the defense three weeks to prepare for trial. When court reconvened three weeks later, Nelson Mandela led the parade of defendants up a staircase that opened into the center of the court, where a specially constructed dock had been built. Mandela gave the clenched fist salute to supporters that had become an ANC trademark. Mandela shouted, "Amandla!" (Power), and the crowd responded with the cry, "Ngawethu!" (It shall be ours). Defense attorney Bram Fischer led off the proceedings with an attack on the sufficiency of the indictment. He argued that the charges were vague, and failed to provide any indication as to which defendants carried out which alleged acts of sabotage. Instead, the government's indictment simply stated that details concerning the sabotage were "peculiarly within the knowledge of the accused." Justice de Wet, in his flowing red robes beneath a wooden canopy, found the defense arguments convincing. He told Yutar that the indictment seemed to presuppose guilt and provided almost no clue as to the nature of the offenses. The indictment, Justice de Wet announced, must be quashed. Got off guard, security officials rushed to re-arrest each of the defendants--except one. Yutar salvaged some favorable publicity for the prosecution by announcing that charges would be dropped against Bob Hepple and that he would be the state's first witness. Listening to Yutar's address, defense attorneys realized (as Joel Joffe later recounted in his book, The State vs. Nelson Mandela: The Trial That Changed South Africa) that "for most of the accused the only possible verdict was 'guilty.' The case was therefore, as far as we were concerned, a battle to prevent the death penalty from being carried out." The defendants had other goals, however. Many of them saw the trial as the first and last opportunity to explain to the nation why they felt compelled to do what they did for the sake of South Africa's oppressed. The first prosecution witness would not be, as earlier promised by Yutar, Bob Hepple. Bob Hepple had fled the country. From the safety of Kenya, Hepple told reporters that he never had any intention of testifying against the defendants, whose aims he shared. Mtolo: They kept promising that I would be paid, and they were still making promises long after I had given all hope of ever getting anything from them. They didn’t care about me nor about the others, the recruits who were arrested. Yutar: Who did not care about them? Mtolo's betrayal confused Mandela and the other defendants. In his autobiography, Long Walk to Freedom, Mandela wrote he was especially upset with Mtolo's willingness to implicate underground activists who were not charged in the case. Mandela considered this "inexcusable." The other critical piece in the prosecution case was Umkhonto we Sizwe's six-page plan of action, called "Operation Mayibuye," confiscated in the Rivonia raid. The state contended the plan, which called for guerrilla warfare and an invasion of South Africa by supporting foreign military units, had been approved by the ANC executive and was the operating plan of Umkhonto we Sizwe. The defense, on the other hand, contended that Operation Mayibuye was just a draft of a possible plan of action and had not been approved by either MK or the ANC executive. In fact, the defense would argue, many of the defendants (including Nelson Mandela) believed the document to be "entirely unrealistic in its goals and plans." Yutar produced other damning documents, many of which he read dramatically in court. A document marked "Top Secret," in the handwriting of Goldreich and found at Rivonia, discussed "revolution" and mentioned possible support from people in the USSR, China, Germany, and Yugoslavia, among other countries. Methods of obtaining weapons, including explosives, were outlined in some detail. Documents such as these shocked many trial observers, but the defendants largely viewed their production with indifference--the defendants were ready to admit they talked openly about sabotage and armed struggle. Many of the prosecution witnesses in the Rivonia trial were ANC or MK recruits who testified only after enduring tough questioning while in detention, often in solitary confinement. Some of the recruits were physically mistreated. Knowing that their release from detention and escape from future prosecution depended on providing trial testimony that satisfied the demands of police and prosecutors, how reliable can their testimony be? From the standpoint of the defense, the answer was: "not very reliable at all." In his book about the Rivonia trial, defense attorney Joel Joffe entitles a chapter of his book, "Unreliable Prosecution Witnesses." Joffe provides numerous examples of witnesses lying or shading the truth to fill what would otherwise be weaknesses in the state's case. In one case, witness Cyril Davids, an attendee at a MK training camp, testified (incredibly, in the defense view) that defendant Denis Goldberg ended virtually every training lecture, whether on the use of duplicating machines or instruction in judo, by specifically telling them that their new skill would be used for guerrilla warfare. Another witness, the owner of a private taxi service, testified that he drove several saboteurs to an electricity sub-station and, after dropping them off, saw a flash and heard an explosion. While the defense conceded the taxi driver's testimony was largely accurate, it said that he wrongly placed defendant Raymond Mhlaba (a defendant for whom the state had little other incriminating evidence) in the back seat of his taxi. In fact, as the evidence would later show, Mhlaba wasn't even in the country at the time the sub-station was sabotaged. For some defendants, including Mandela, Sisulu, Mbeki, and Goldberg, the prosecution's evidence of guilt was strong or overwhelming. In the case of Goldberg, for example, several manufacturers and merchants testified that Goldberg had visited their factories and shops making inquiries about orders of large quantities of parts, such as castings, that had application only in weapon construction. For Goven Mbeki, thirteen separate documents directly implicated him in sabotage planning. For defendants Motsoaledi and Mlangeni, the evidence of guilt was less compelling, but likely to be sufficient given the political circumstances of the trial. Witnesses identified both men as involved either in the training of recruits or the transportation of recruits to receive training. For the other four defendants, the prosecution's cases ranged from weak to virtually non-existent. As mentioned above, the evidence connecting Mhlaba to sabotage of a sub-station was questionable at best. Ahmed Kathrada, the lone Indian among the defendants, was captured at Rivonia and said by a witness to have drafted a couple of pamphlets and taped a broadcast for ANC radio. Essentially the only evidence of Rusty Bernstein's guilt came from a witness to claimed to have seen Bernstein on the roof of a Rivonia building helping to erect a radio antenna. And for attorney James Kantor, the most incriminating--if it can be called that--evidence was that his office at the law firm might have been used by other persons in a manner that violated communication bans that they were subject to. Justice de Wet found the evidence against Kantor so convincing that, at the conclusion of the prosecution case, he dismissed all charges against him. After the state rested its case, the defense had five weeks to prepare for its presentation of evidence. When court convened on April 23, 1964, Bram Fischer delivered an opening statement. Fischer admitted that seven of the ten remaining defendants (all except Bernstein, Kathrada, and Goldberg) were members of the National High Command of Umkhonto we Sizwe, but denied that the High Command had made a decision to embark on a course of guerrilla warfare. Operation Mayibuye, Fischer said, "had not been adopted, and...would not have been adopted while their was some chance of having their objectives achieved by the combination of mass political struggle and sabotage." Fischer finished his address by announcing that the defense case would "commence with a statement from the dock by Nelson Mandela." Mandela chose to give a statement from the dock, even though forgoing cross-examination meant his testimony would be given little weight, because, in his words "I did not want to be limited" to the question-answer format in explaining why he and others found it necessary to undertake a campaign of sabotage against the South African government. Joel Joffe said the defense team recognized that the usual form of testimony would mean Mandela's arguments would lose power as they "came out in a jumble of bits and pieces." For two weeks, Mandela had spent nights in his cell drafting his unapologetic speech, a speech that Bram Fischer worried might earn him the death penalty. The decision to not put Mandela on the stand caught Percy Yutar by surprise. He jumped up from the prosecutor's table to cry, "My Lord! My Lord, I think you should warn the accused that what he says from the dock has far less weight than if he submitted himself to cross-examination." Justice de Wet looked at the prosecutor dryly and said, "I think, Mr. Yutar, that the counsel for the defense have sufficient experience to advise their clients without your assistance." At the beginning of June 1961, after a long and anxious assessment of the South African situation, I, and some colleagues, came to the conclusion that as violence in this country was inevitable, it would be unrealistic and wrong for African leaders to continue preaching peace and non-violence at a time when the Government met our peaceful demands with force. This conclusion was not easily arrived at. It was only when all else had failed, when all channels of peaceful protest had been barred to us, that the decision was made to embark on violent forms of political struggle, and to form Umkhonto we Sizwe. Mandela sat down. In his autobiography, he describes the scene in the Pretoria courtroom. "The silence seemed to stretch for many minutes. But in fact it lasted probably no more than thirty seconds, and then from the gallery I heard what sounded like a great sigh, a deep, collective 'ummmm,' followed by the cries of women." Justice de Wet turned to Bram and announced in a gentle voice, "You may call your next witness." Walter Sisulu, former Secretary General of the ANC and a member of MK's National High Command, took the stand. Sisulu testified that Operation Mayibuye was the brain child of Arthur Goldreich, a member of the High Command and a former member of the Israeli underground movement. Sisulu said that the plan had not been adopted, in part because more time was needed "to condition the masses." The ANC and Umkhonto, Sisulu also told the court, were separate organizations. He testified that he agreed sabotage was necessary, but insisted that "the choice of targets makes the position perfectly clear that the intention was not to injure anybody at all." Pressed on this point by Justice de Wet, who pointed to the death of a passer-by when a bomb exploded at a post office, Sisulu conceded that accidents could happen, despite the precautions Umkhonto tried to take. In five days of cross-examination, Yutar tried to link the ANC and Umkhonto to the Communist Party and pushed Sisulu to identify others who played key roles in underground organizations. Despite warnings from the bench, Sisulu refused to name names. Over the course of the next week, each of the other seven defendants would take the stand, with five (Kathrada, Mhlaba, Bernstein, Mbeki, and Goldberg) subjecting themselves to cross-examination and two (Motsoaledi and Mlangeni) offering, like Mandela, prepared statements. For the several defendants for whom conviction was all but certain their time on the stand was an opportunity to explain to the nation why they did what they did. Elias Motsoaledi's brief statement provided one of the more moving moments of the trial. He ended his prepared remarks by telling the court, "What I did brought me no personal gain. What I did, I did for my people and because I thought it was the only way left to help my people. That is all I have to say." But he did have one more thing to say. Looking at the judge, Motsoaledi said: "In addition, my Lord, I want to say that I was assaulted by the Security Branch in an attempt to make me make a statement." For the three defendants for whom conviction was in some doubt (Kathrada, Mhlaba, and Bernstein), testifying offered a chance to rebut whatever weak evidence the prosecution had presented that tied them either to the sabotage or conspiracy charges. Raymond Mhlaba did himself no favor on the stand, according to Joel Joffe, who described the slow-answering, slow-moving man as having "made a rather unfortunate impression in the box." On the other hand, Rusty Bernstein was an "ideal witness," giving "clear, concise answers" in a "polite and unruffled manner" while conceding nothing. His testimony, quite likely, spared him the fate of the other defendants. Closing arguments began in the Rivonia trial on May 20. Percy Yutar, for the state, said: "I make bold to say that every particular allegation in the indictment has been proved. There is not a single material allegation in the opening address that has not been proved. On the evidence it is clear that without the action of the police, South Africa might have found itself in a bloody civil war." Three weeks later, Justice de Wet announced his verdict. Only Rusty Bernstein was acquitted. Ahmed Kathrada was found guilty on one of the four counts. The other defendants: guilty on all counts. Justice de Wet told the assembled courtroom that he would deal with the question of sentencing the next morning. He released a 72-page summary of the evidence with findings. Justice de Wet concluded, among other things, that "beyond doubt Nelson Mandela had been the leading spirit behind the creation of Umkhonto we Sizwe" and that "Operation Mayibuye comprised a detailed plan for waging guerrilla war intended to culminate in full scale revolt against the Government of South Africa." There was still, however, one confrontation left for the trial. The defense asked to present testimony in mitigation of sentence from Alan Paton, author of the bestselling book, "Cry, the Beloved Country." Paton, a respected member of South Africa's moribund Liberal Party, commanded a huge following both in South Africa and the world as a whole. A packed courtroom awaited his testimony, included numerous representatives from foreign embassies and consulates. Paton told the court that he testified out of a sense of duty "because I love my country" and his belief that sparing the defendant's lives was "very important to our future." Paton did not apologize for what the defendants did, but called them men of courage with a "deep devotion to their people." They had no choice, he said, but either "to bow their heads and submit, or to resist by force." At times during Paton's testimony, Justice de Wet seemed barely to be listening. His mind had been made up. For weeks, international pressure to spare the defendants' lives--in the form of U. N. resolutions, protests, and secret diplomatic communications--had been building. After asking the defendants to rise, Justice de Wet pronounced sentence. "I have decided not to impose the supreme penalty," the judge said, even though it would normally be "the proper penalty for the crime." He concluded his brief statement: "The sentence in the case of all of the accused will be one of life imprisonment." Nelson Mandela and the other defendants, who had all decided that they would not appeal if sentenced to death, broke into smiles. They would live! Mandela gave a thumbs-up sign to the his supporters. Minutes later, the defendants were hustled into a van. As they drove off, to what for each would be more than two decades of imprisonment, the crowd in the streets outside the courthouse shouted, "Amandla! Nkosi Sikelel iAfrica!" Mandela answered by sticking his clenched fist through the bars of the van's window. Nelson Mandela spent the next eighteen years in a prison on Robben Island, just off Cape Town. He worked in a lime quarry and was allowed one letter and one visitor every six months. In 1982, authorities transferred Mandela and four other Rivonia defendants (Sisulu, Mlangeni, Mhlaba, and Kathrada) to Pollsmoor Prison in suburban Cape Town. The winds of change began to sweep South Africa in 1985. Denis Goldberg became the first of the Rivonia defendants to be released from prison. President P. W. Botha offered Mandela a deal: renounce violence and be freed. Mandela refused the offer: "Only free men can negotiate--a prisoner cannot enter into contracts." In November of 1985, the National Party government entered into secret negotiations with Mandela for what, it was hoped, might be an eventual transition to a multi-racial government. By the beginning of 1990, only Mandela among the Rivonia defendants remained imprisoned, now at a bungalow in Victor Verster prison where he continued his secret negotiations. In February 1990, President F. W. de Klerk announced the release of Nelson Mandela. The next year, Mandela was elected president of the ANC. In April 1994, South Africans of all races went to the polls. The ANC won 62% of the vote and on May 10, Nelson Mandela took the oath of office as the first black President of South Africa.